And foreclosure filings, a category that includes default notices, scheduled actions and bank repossessions, hit 325,229 in July. That’s a 4% increase from June, but notably, it’s a 10% drop from July 2009. 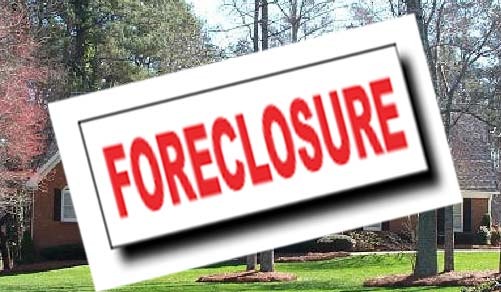 The number of homeowners who lost their properties to foreclosure jumped 9% in July as lenders moved to repossess a glut of homes with past-due mortgages. A total of 92,858 homes were repossessed in July, according to the web authority RealtyTrac. That’s 9% higher than in June and 6% higher than the figure for July 2009. July was the eighth straight month to post a year-on-year rise in homes lost to foreclosure. The number of new 90-day delinquencies in the second quarter fell by 32% from the first quarter, the FHA reported Monday. Also, for the first time in recent years, 90-day delinquencies dropped from the year earlier. The FHA is taking steps to rebuild its capital reserves after they fell to razor-thin levels amid soaring defaults on FHA mortgages. The FHA insures low down-payment mortgages for borrowers who meet its standards. To shore up its finances, the FHA has tightened standards. For example, it now requires borrowers with down payments of less than 10% to have credit scores of at least 580. The agency also has asked Congress for more flexibility to raise its premiums in order to rebuild its capital cushion more quickly. Legislation that passed the U.S. House of Representatives but remains mired in the Senate would allow the FHA to triple its annual premiums. If it passes into law, the FHA has said it would immediately lower its upfront premiums and raise annual premiums. Nevada had the highest foreclosure rate among all states, with one in every 82 households receiving a foreclosure filing. California had the highest percentage of the total foreclosures filings, accounting for 21% of the nation’s filings. “House prices are going to fall more next spring and that will bring more negative equity,’’ Fleming said.